Hi there blog hoppers! It is so nice to be here. Today I would love to share with you an exclusive sample from a new resources I am working on. Here is Australia, we are almost finished the school year and while reviewing some work with my first graders this week, I noticed they needed some 'mixed review' of sounds/spelling patterns. They have done really well each week, learning new word families, but when I mixed them up - they found it very challenging. 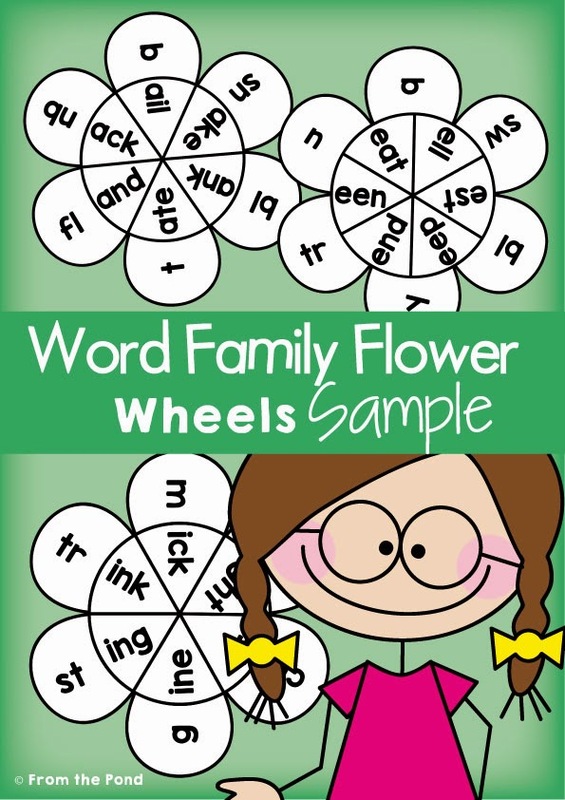 Luckily, I had already been working on some some word family flower wheels already. 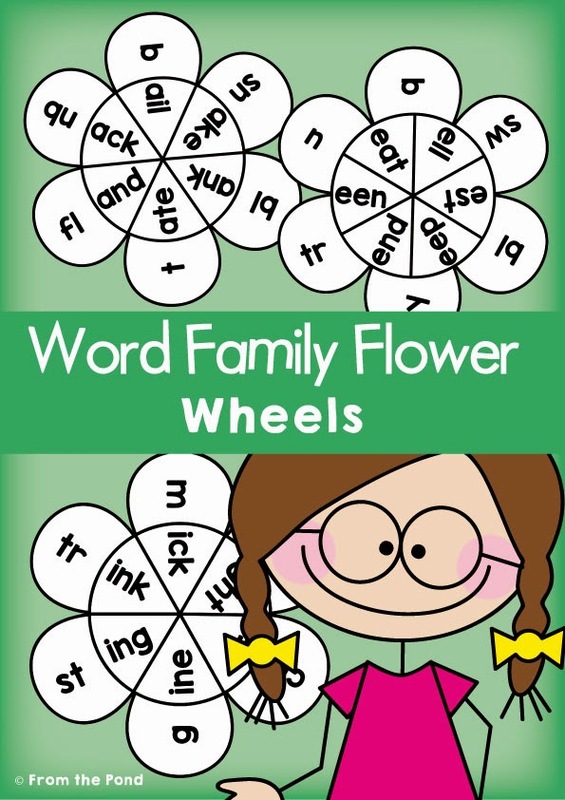 Students will spin the flowers and write 'real' and 'nonsense' words that they make. Each flower in the sample packet I am giving you today, includes a mixture of sounds, so your students are challenged to think about everything they have learnt this year! Thank you so much for visiting - have a great day! Thank you so much for sharing such a wonderful & fun product! What a generous share!!! Thanks so much!